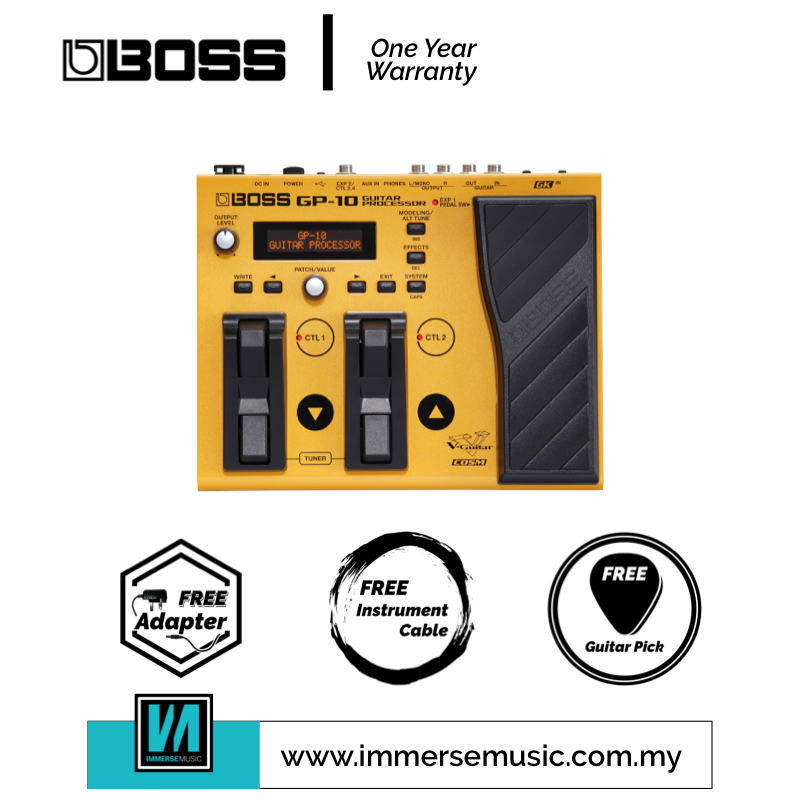 The new GP-10 puts a universe of amazing tones and tunings at your command, all in one compact processor that’s affordable and easy to use. 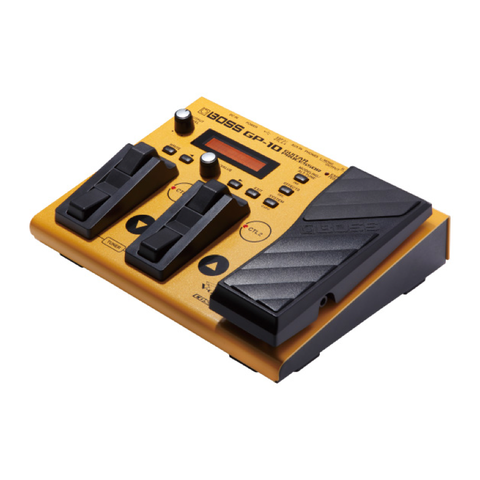 With a Roland GK-compatible pickup on your guitar, the GP-10 lets you transform your sound into numerous classic electric and acoustic guitar types, basses, and even analog-modeled synths, including the legendary Roland GR-300. Not stopping there, you have access to instant altered tunings, including popular open tunings, 12-string tones, and “down” tunings that are essential for today’s ultra-heavy rock styles. 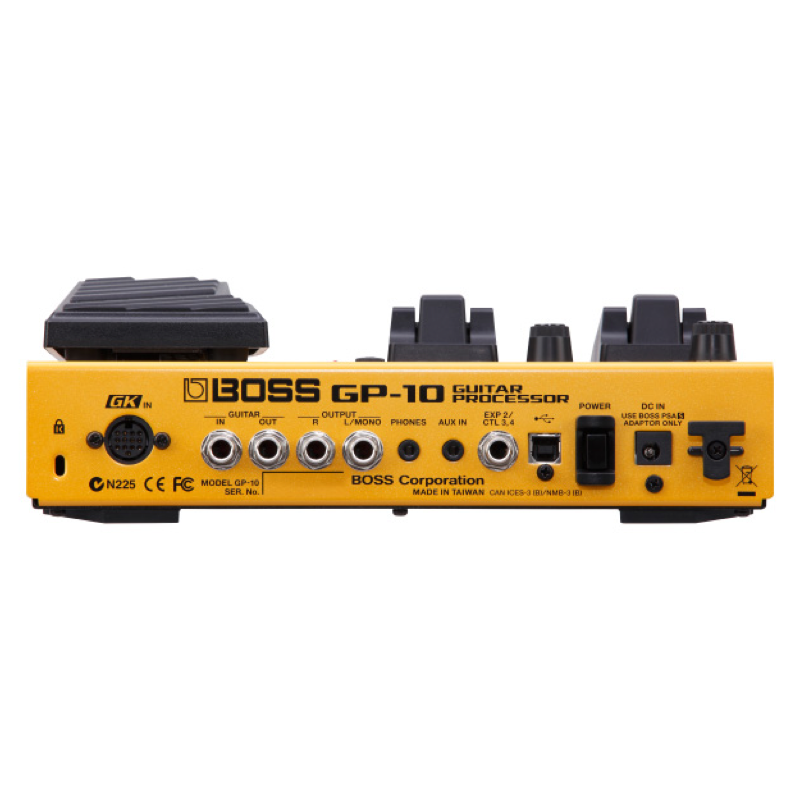 The versatile GP-10 also functions as a full-featured multi-effects processor for both GK and normal pickups, giving you a huge selection of COSM amps and effects for live playing and studio recording. 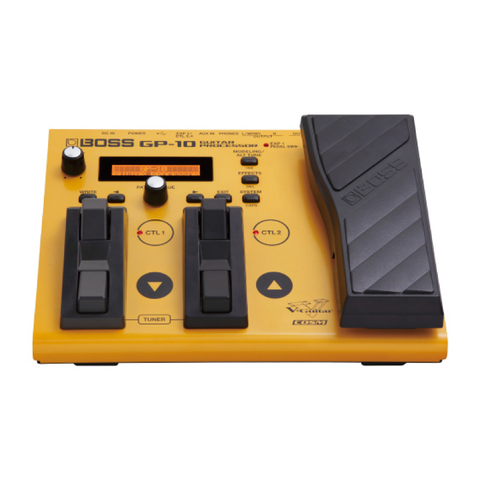 In addition, USB connectivity lets you capture GP-10 tones directly into your DAW, and you can even play computer-based soft synths from your guitar with the GP-10’s guitar-to-MIDI converter! 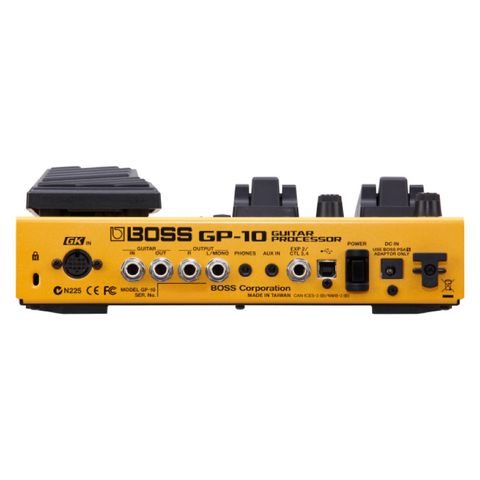 The GP-10 features an onboard USB audio/MIDI interface, making it easy to record great amp and effect tones in your favorite DAW with any guitar. But when you use a GK-equipped guitar, the GP-10 becomes an enormously powerful creative tool that expands your production capabilities beyond any standard guitar processor. For example, you can record the audio output of each of your guitar’s strings on separate tracks, either processed with the GP-10 or captured dry for later processing. When you record unprocessed sounds in this way, you have the ability to not only re-amp the tracks through the GP-10’s amps, but to “re-guitar” as well, using the GP-10’s instrument modeling to change the sound to anything you want after the fact! 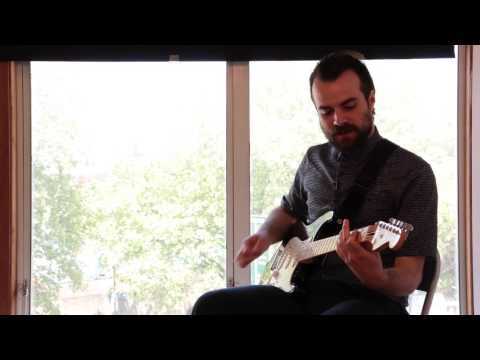 The guitar-to-MIDI function allows you to stretch your creativity even further, using your guitar to play soft synths, capture MIDI sequences, and input MIDI data into notation software on your computer.